Back in 1970, just married Will and Karen Shields crossed the bridge for the first time. At age 26, Will, the son of a Pennsylvania farmer and butcher, had never seen the ocean. As he stood under the Avalon Pier, holding his bride’s hand, he was awestruck, and the rest is what he considers the family’s destiny. After long hours of planning, Scott and Melissa sold their home and they moved to Nags Head. 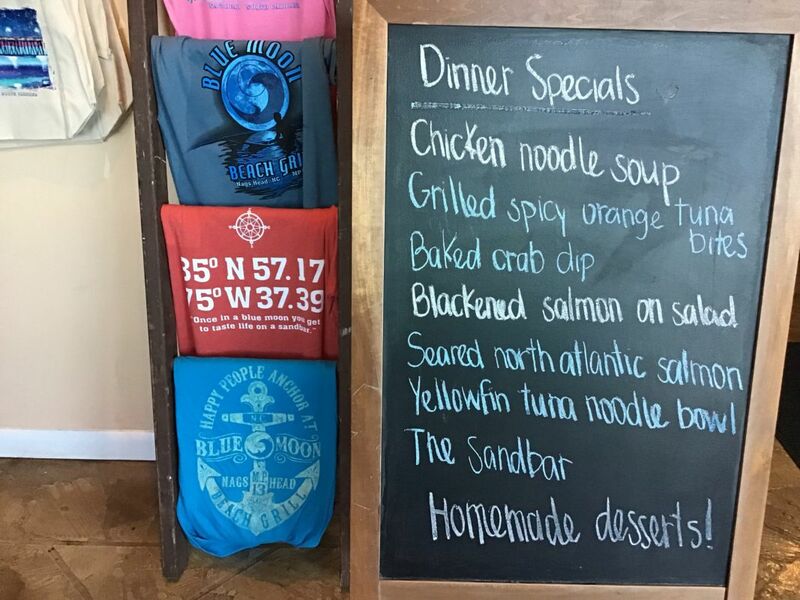 Six months later, a little 32 seat restaurant named Blue Moon Beach Grill was born. Popular with the locals, the “once in a blue moon dining experience” grew in popularity, as did the restaurant, expanding to 64 seats. Scott began his culinary career, graduating from Indiana University of Pennsylvania’s Culinary Academy. Melissa and Scott met while working on the Outer Banks and eventually resided in Staunton, VA. They honed their skills and dreamed of one day ending up back on the sandbar. They now have 4 great kids and never a dull moment! We consider our employees our greatest asset and an extension of our family. It makes going to work every day a lot easier! A blue moon is a very rare event. According to popular usage, a blue moon refers to the second full moon that occurs in any calendar month. On average, there will be 41 months that have two full moons in every century. By that calculation “once in a blue moon” means once every two and a half years. The blue moon expression is old and dates back to early England. The next two blue moons will be January 31st and March 31st — 2018!